The Elks National Foundation Donor Services team processes all of the donations generous Elks send in every day. We scan the checks, look up Lodge numbers and ENF Donor IDs, and enter all of the information into our system, crediting members and Lodges. I personally process Fidelity Club donations, which is my favorite way to support the ENF. The minimum donation amount is only $5 per month, which also makes it really easy. I just give up a McDonald’s value meal each paycheck. The coffee drinkers in the office sacrifice one of their daily fancy Starbucks lattes. Having an automatic donation also allows us to increase our annual giving easily. Writing a $100 check might not be possible for everyone, but a small automatic charge or deduction is not as noticeable come payday. 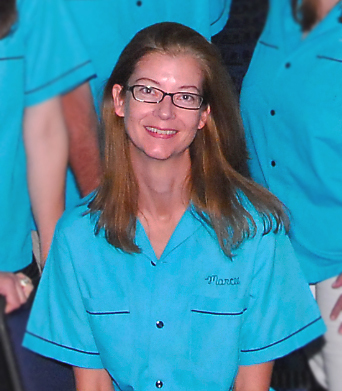 Many ENF staff have reached the Honorary Founder cumulative level of giving just through the payroll-deduction program at the office. So, join the Fidelity Club. It makes supporting the ENF really simple, and a little bit goes a long way through a monthly donation. 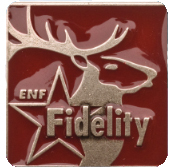 You can even designate your gift to your favorite ENF program! I fully concur that automatic deductions are the way to go, as I have been doing for many years. However, I have totally been ineffective in convincing my lodge members to do either auto or periodic submittals--none via credit card. Hi Vern! Some members may be concerned about credit card fraud and the security of their account information. You can assure them that our system is very secure. Also, make sure to point out that a little bit can go a long way towards their giving total, and to helping the Lodge. Do your members know that the ENF gave back almost $1 million to New York last year? That includes $337,000.00 in Lodge grants through the Community Investments Program.